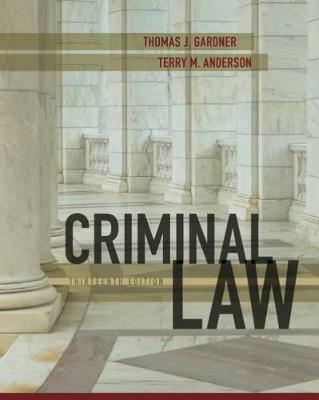 Equipping you with a solid understanding of legal topics, Gardner and Anderson's CRIMINAL LAW, 13th Edition, delivers comprehensive coverage of the major components of substantive criminal law in a remarkably reader-friendly presentation. A student favorite for more than 30 years, the text uses a more narrative, descriptive approach -- with fewer lengthy cases -- to expose you to the language of the law without bogging you down in legalese. You'll find compelling coverage of the issues and principles driving American criminal justice today, with a presentation that combines current concerns and cases with an accessible writing style and study system to help you build a practical understanding of complex legal topics.